With any new development an archaeological survey is normally undertaken. The latest survey to be undertaken in the Borough has been at Ballard’s Walk where 135 homes have been planned. Although a full report has yet to be issued it is known that Roman artefacts have been found. When a survey was instigated by the Home and Counties back in 2006 when they were envisaging to build at the back of the College and Hospital down to Dry Street again Roman and Anglo Saxon activity was found. Further research informs us that within 14km (9 miles) of Basildon 430 archaeological and historical sites have been located, 110 being Roman and 9 Roman-Saxon. However in researching this list we find it does not include the above two sites, the dig at Nevendon that took place in 2008 or the Mesolific site and Iron Age site in Coombe Woods, Langdon Hills. 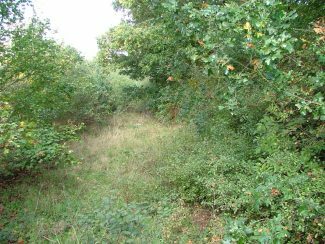 Also a recent publication ‘The Fields of Britannia’ published in 2015 by Stephen Rippon, Chris Smart and Ben Pears have located a possible road in the Basildon area that is still in use today as a public footpath. We know that the Romans in 43 AD crossed over the Thames from Kent and landed somewhere in the East Tilbury area and headed towards Camulodunon (Colchester). It is believed that they travelled through Horndon on the Hill, Langdon Hills, Laindon, Billericay and on towards Colchester. The question is did they take the route over Langdon Hills past the Iron Age settlement or by pass the hill. Well we are aware of a possible ancient track way behind Langdon Hill Farm again not mentioned in the list on the lower western slopes of the Hill. Now with this possible find by Stephen Rippon and Co in the Great Berry area of the town and when looking at the map it is in a direct line with this ancient track way heading north to Billericay or south towards East Tilbury and the Thames. It therefore looks like we have found a Roman Road, possible a military road. 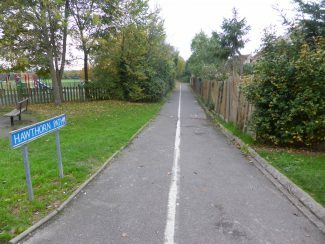 This latest find is the public footpath called Hawthorn Path previously an extension of Berry Lane. It runs in a northerly direction past Great Berry Park towards Mandeville Way and the Railway Line. Question: Were the Romans taking an easier route by passing the hill or did they not want to encounter the Trinovantes in their settlement at the top of the hill? 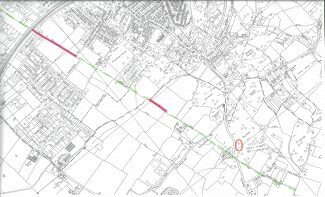 Really interesting article – I love the idea of being able to walk along a trackway once used by Romans. Whilst having a look at this on Google maps I noticed what looks like an old track or even another Roman road preserved in crop marks between Horndon and Langdon hills. Putting this 9F32GCP9+QR into Google and going to maps should take you there. It looks like a pair of parallel ditches about 10m apart running in a straight line at a different alignment to the current fields….it looks interesting to me anyway! When I was about nine years old my mum and dad and us used to walk from plotlands as it was called then. 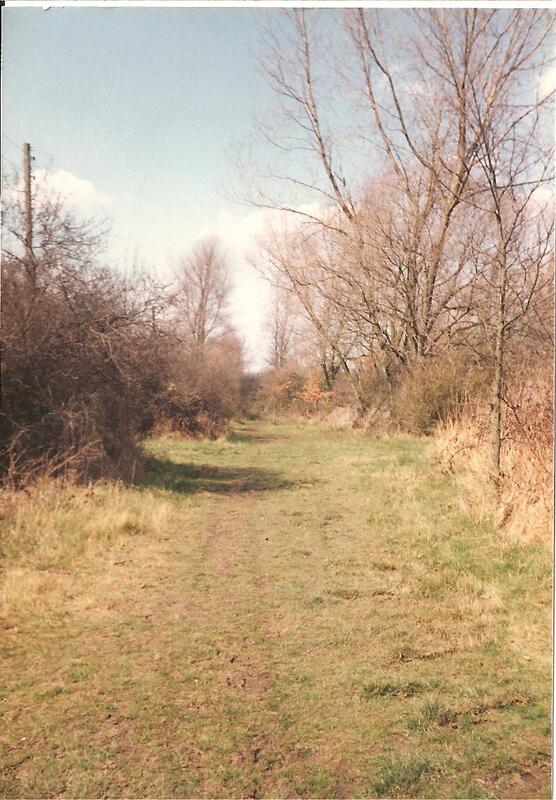 We had a bungalow where Tescos is now, Laindon, and walk to Berry Lane, Langdon Hills on the Roman Road. It is still there but now it has new houses on both sides all along it. We lived in a bungalow in 1962, no runnig water or electric or flushing toilet, gas mantels and a stand pipe for water, and a hole in a small shed for our toilet. We kids had a great childhood there. Three years later we moved to Victoria Road to a three bedroom house.